After the huge success of FreeStyle Magazine issue 1 we are very happy and proud to give you a sneak preview of our next issue. After a very challenging time distributing, marketing and selling – we have managed to put together a magazine that once again will turn heads and see frisbees flying through the air. But aside from a fantastic magazine we have a fantastic Frisbee! As you will know from issue one we work with contemporary freestyle minded people to make the design for our magazine disc. 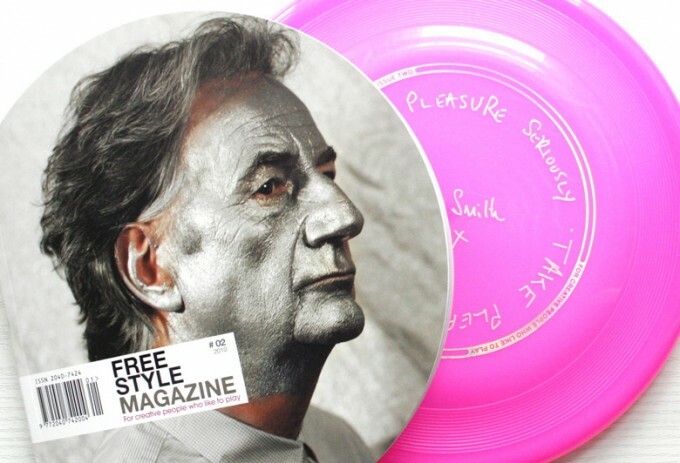 And I am exited to tell you that our Issue two “fastback” model frisbee carries a wonderful design by Sir Paul Smith. The disc has the classic Pantone 806c pink- a favorite of Sir Paul and carries the slogan “Take Pleasure Seriously” in a metallic silver and also with his easily recognizable signature in the middle of the disc. This issue promises to be a true design collectable. FreeStyleMagazine Issue two will be released on the 21st May with an extravagant Launch party at Berlin’s infamous Bar 25 and followed up with our “Beach Launch” where we will party, play and test out our new disc on the shores of the Baltic Sea at our “Baltic Sun Prayer Session”. Take a look at our website and Facebook to get some more details and if you would like an invitation to the party then just write back to us. We would be very happy if you could spread the word about the new issue. 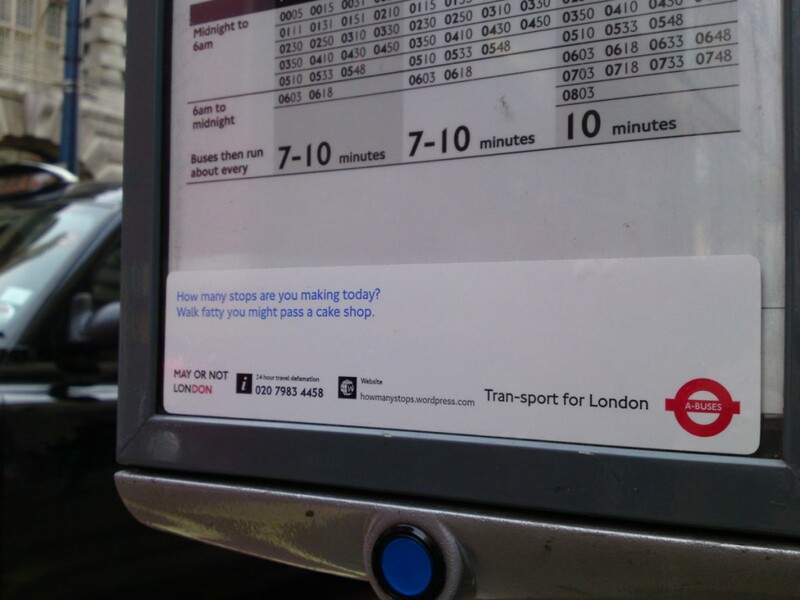 “How many stops are you making today? Clever guerilla fitness campaign (?) on London buses signs. Just received these beauties in the post! A present from Ollie in Milan. Retro Super Future’s Classic Electric Purple.